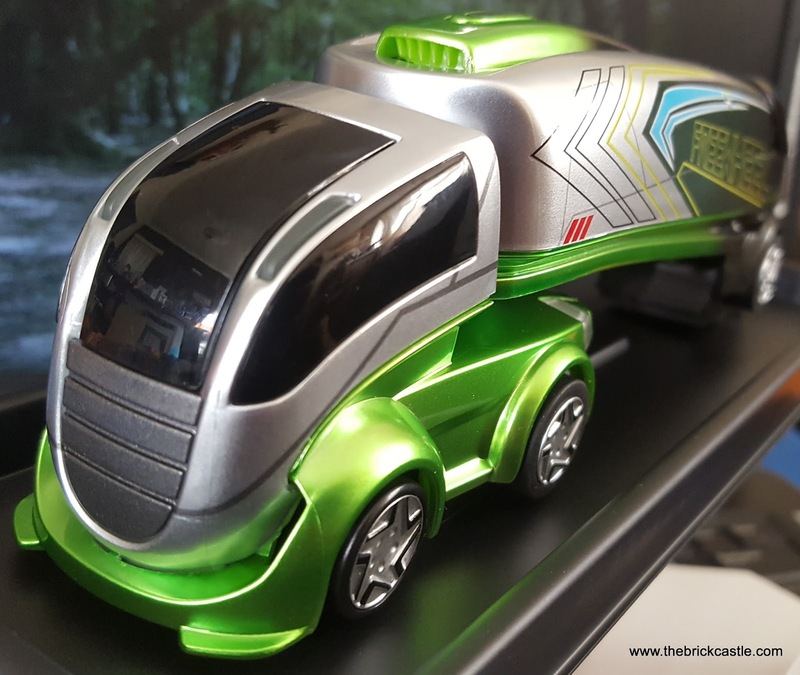 I first saw the Anki DRIVE a couple of years ago, and was besotted at the time. Anki OVERDRIVE is the upgrade - better, faster, stronger, so I was truly delighted when Anki gave us the chance to review their Family Bundle pack. 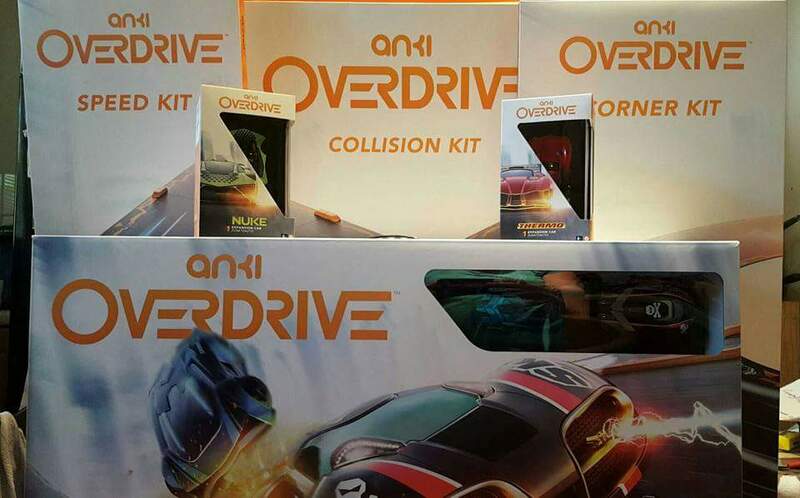 In the pack are the Starter Kit, Speed Kit, Collision Kit and Corner Kit, as well as two extra cars. 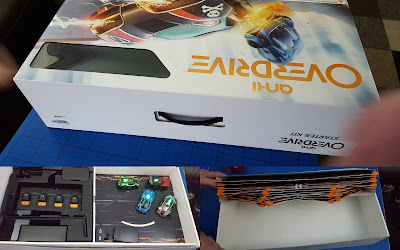 The Starter Kit box design is brilliant, and intended for permanent use to pack away your Anki OVERDRIVE safely, with the track flat and the cars safe. Everything in the bundle fits except the very large collision kit piece. You have enough track in the Starter Kit for 8 different layouts, and setting up is ridiculously easy. 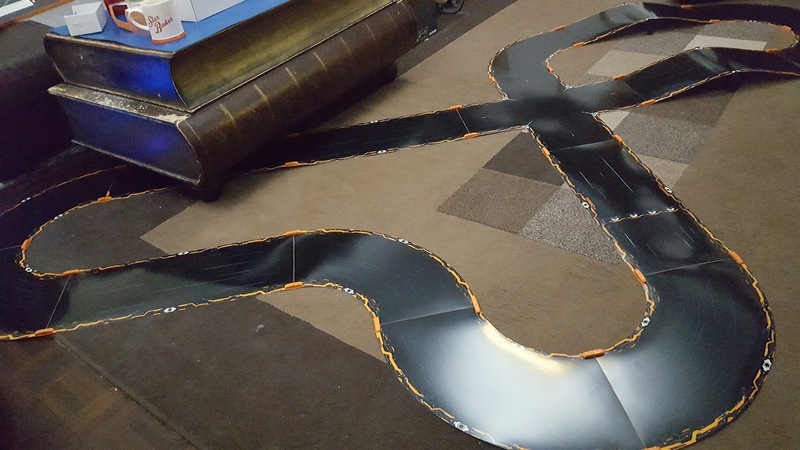 The track itself is fairly flexible and fixed together magnetically, so you can go up and down bumps, over carpets and bridges, and create some pretty good inclines and slopes. Putting two pieces of track together is as easy as placing them side-by-side on the floor, so construction of your entire track takes a couple of minutes, redesign and alteration is instant, and only once have we had to adjust it because it didn't drive smoothly. Also in the kit are the wheel cleaner and charger. Charging up to 4 cars takes around 10 minutes and will last around 4 races, depending on your track obviously. We've found the cars are still fully charged after sitting for 5 days, and don't miss the tiny on/off button underneath! 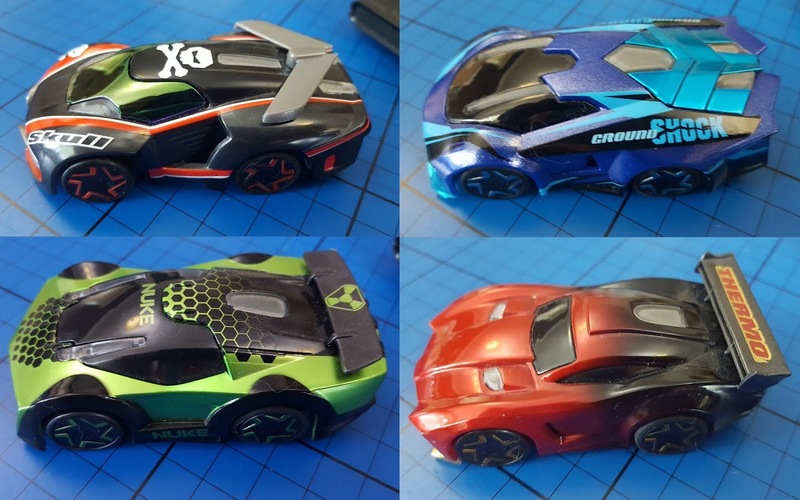 The Supercars themselves are gorgeous and really strong, they'll survive many crashes. They work really well and are very responsive to your controls. They stay on the track! Even on sharp corners you can push it to your limit and still save yourself from the crash. The car control system is via a phone or tablet app. and you are guided through a quick initial training against an AI opponent on the track. It's really quite surreal. It also means that as you can play up to 4 cars at once, you can choose to add AI opponents to races. Multiplayer is brilliant and works incredibly well. We've been able to battle 4 person using a selection of old and new Android phones and our household wireless network. With multiple live players, if you have problems keeping your Anki OVERDRIVE racers connected then switch off the bluetooth on all but one device to connect via your home wifi instead. The AI is amazing, and competes well, but with imperfect laps, and you can almost forget you are not battling a real person. Brilliant. No-one likes an opponent who always wins. 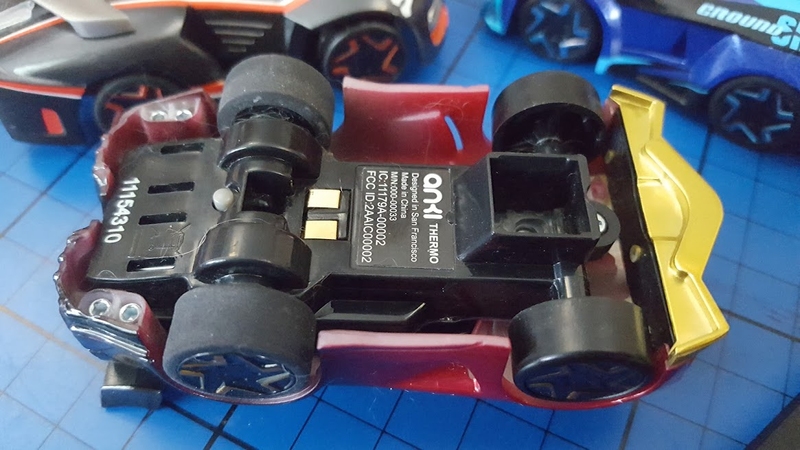 Whether against a human or AI, each car has it's own special talents, and there are infinite micro-changes or crashes possible, so you will never repeat a race. Anki OVERDRIVE does away with all of the negatives of slot track racing. 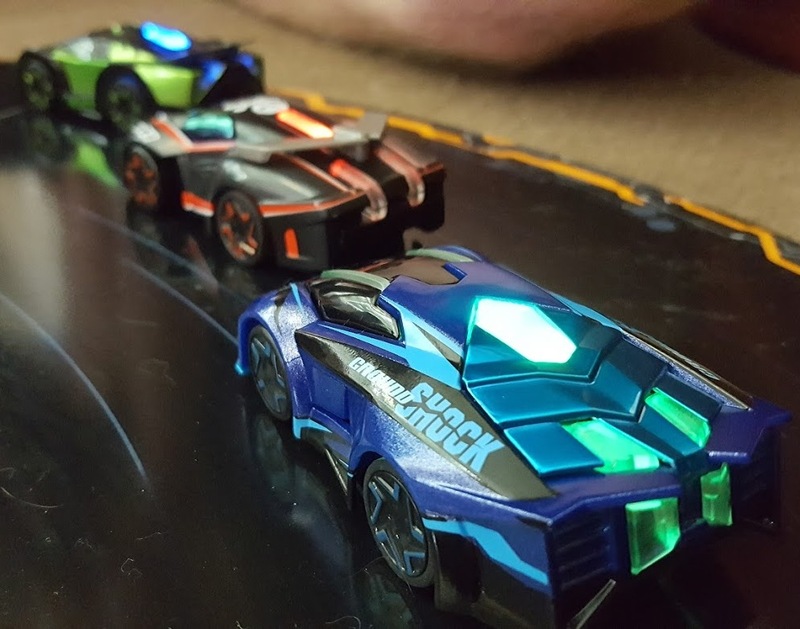 The track doesn't have to be perfectly straight, the controls are a lot more responsive, and your car stays on the track a lot more. Despite their technology, these little robots are a lot stronger than some of the other racing systems, and less likely to suffer damage. 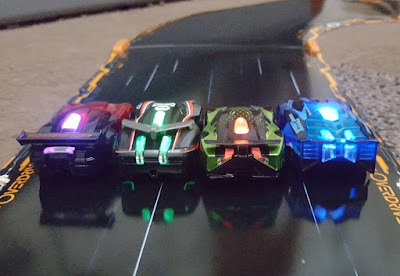 I honestly can't really fault Anki OVERDRIVE. Sitting waiting while 4 of us did our basic training was a bit frustrating, and once one of the little boys hadn't put his car on the charger, so we had to wait for that. We have to regularly remove pet hair from the wheels.... No, I don't have a real negative. 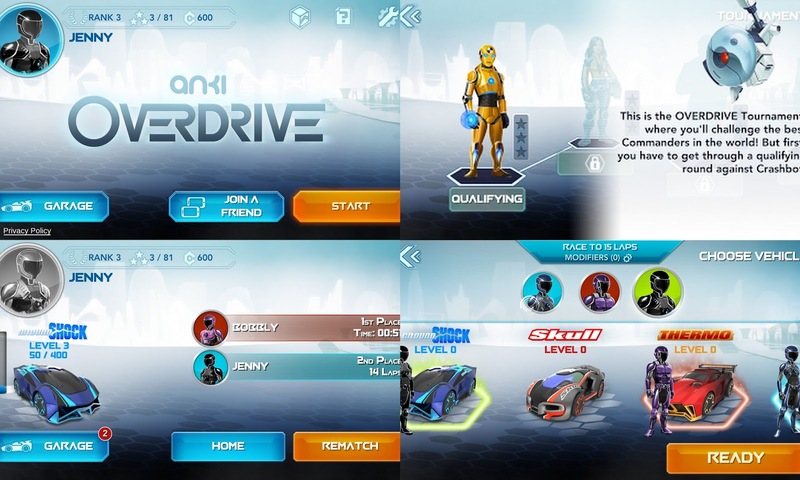 Anki OVERDRIVE is pretty much everything you'd hope it would be. 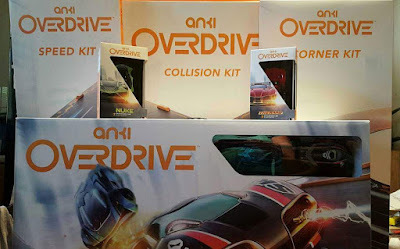 Available to buy now from the Anki website - the Anki OVERDRIVE Family Bundle we were sent is currently £299 - saving loads on buying separately. The Starter Kit is £149.99 with 2 cars and makes 8 different track layouts. 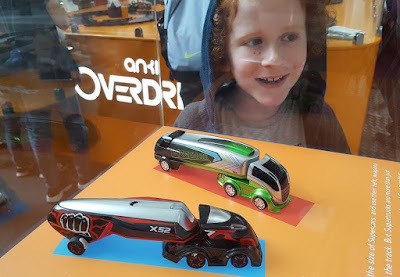 If Supercars aren't your thing, then October 2016 saw Anki release Supertrucks and we reviewed the Anki Overdrive Supertruck Freewheel and their robot Cozmo will also see release (in the US first). 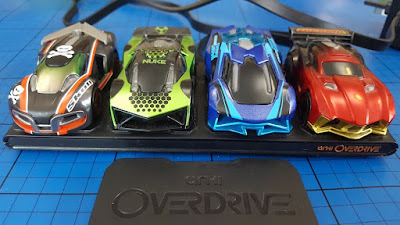 We were sent our Anki OVERDRIVE Family Bundle to review. oh wow, my two would love this and so would I! I love racing cars, we would get this for our teenager & all play it. Fab review as I wondered what this was like. Louis pestered me for this at Christmas and we decided that in the end it was just too expensive, but actually it looks like something the boys could all enjoy - husband included - which makes it more appealing to us, particularly since we never know what to buy for them! My boys would love this. I've been mulling it over for ages since we first saw it at the apple store and my eldest had a go. Even aged 4 he could control it. Since we already have the technology to drive it, it seems like a no brainer. I love how you get the updates included as well at no extra cost. I know it's an expensive present but I'm thinking it would make a fab sharing Christmas present, and those trucks look amazing. It begs the question whats next from Anki!? Exciting times!